Arrival at Calicut Airport /Railway station and transfer to hotel. Afternoon proceed for local sightseeing of Calicut - the traditional capital of Northern Kerala under the Samuthiri rule. The sightseeing attractions in this legendary city include Calicut Beach, Thali Temple, Kappad Beach, Pazhassiraja Museum, Beypore Beach. After breakfast check out from the hotel and drive to Wayanad, on arrival check into the hotel. Spend the day at leisure. After breakfast proceed for local sightseeing of Wayanad. Set at an altitude of 700 - 2100 m above sea level, Wayanad is one of the districts in Kerala that has been able to retain its pristine nature. The fast-flowing rivers - Panamaram, Mananthavady and Kabini add to the beauty of Wayanad. Sightseeing attractions in Wayanad include Pookoda Lake, Lakkadi, Kuruva Island, Edakkal Cave. Overnight stay is arranged in Wayanad. *This Site is only for your personal use. You shall not distribute exchange, modify, sell or transmit anything you copy from this Site, including but not limited to any text, images, audio and video, for any business, commercial or public purpose. * As long as you comply with the terms of these Terms and Conditions of Use, Company grants you a non-exclusive, non-transferable, limited right to enter, view and use this Site. You agree not to interrupt or attempt to interrupt the operation of this Site in any manner whatsoever. * Access to certain areas of the Site may only be available to registered members. To become a registered member, you may be required to answer certain questions or provide certain details. Answers to such questions or details required may be mandatory and/or optional. You represent and warrant that all information you supply to us, about yourself, and others, is true and accurate. * All materials on this Site, including but not limited to audio, images, software, text, icons and such like (the "Content"), are protected by copyright under international conventions and copyright laws. You cannot use the Content for any purpose, except as specified herein. * You agree to follow all instructions so provided on this Site limiting the way you may use the Content. * There are a number of proprietary logos, service marks and trademarks found on this Site whether owned/used by Company or any other third party. By displaying them on this Site, Company is not granting you any license to utilize those proprietary logos, service marks, or trademarks. Any unauthorized use of the Content may violate copyright laws, trademark laws, the laws of privacy and publicity, and civil and criminal statutes. * You may download such copy/copies of the Content to be used only by you for your personal use. * Company may add to, modify or remove any part of these Terms and Conditions of Use at any time as it may deem fit, without notice. Any changes to these Terms and Conditions of Use or any terms posted on this Site apply as soon as they are posted. By continuing to use this Site after any changes are posted, you are indicating your acceptance of those changes. * Company may add, change, discontinue, remove or suspend any other Content posted on this Site, including features and specifications of products described or depicted on the Site, temporarily or permanently, at any time, without notice and without liability. * Company reserves the right to undertake all necessary steps to ensure that the security, safety and integrity of Company's systems as well as its clients and users interests are and remain, well-protected. Towards this end, Company may take various steps to verify and confirm the authenticity, enforceability and validity of orders placed by you. * If Company, in its sole and exclusive discretion, concludes that the said orders are not or do not reasonably appear to be, authentic, enforceable or valid, then Company may cancel the said orders at any time up to 06 hours before the scheduled time of departure of the relevant flight or 24 hours before the expected date of visit to any property booked through Company. * You may travel to certain destinations which involve greater risks than others, entirely at your risk as to cost and consequences. * Company requests you to consult your local authorities and evaluate travel prohibitions, warning, announcements, and advisories issued by them before booking travel to certain international destinations. * By offering for sale travel to particular destinations, Company does not represent or warrant that travel to such point is advisable or without risk. Company does not accept liability for damages, losses, or delays that may result from improper documents for entry, exit, length of stay, or from travel to such destinations. * Company reserves its exclusive right in its sole discretion to alter, limit or discontinue the Site or any material posted herein, in any respect. Company shall have no obligation to take the needs of any User into consideration in connection therewith. * Company reserves its right to deny in its sole discretion any user access to this Site or any portion hereof without notice. * No waiver by Company of any provision of these Terms and Conditions shall be binding except as set forth in writing and signed by its duly authorized representative. * Company.com generates promotion codes from time to time which may be availed on the Site as a discount coupon. Users are advised that the promotional offer of using Promotion Codes for receiving discounts can be availed only if correct and full details (of the promotional code) are filled in at the time of making the booking. In case if the customer fails to enter the promocode before making the booking, the company shall not be liable to give any credit to the customer after the booking has been made. * Considering there are multiple promotional offers running on the site, user can avail the benefit of only one offer at a time. No two promotional codes can be combined at the time of making a booking. * If any dispute arises between you and Company during your use of the Site or thereafter, in connection with and arising from your use or attempt to use this Site, the dispute shall be referred to arbitration. Both parties shall agree to a sole arbitrator. The place of arbitration shall be Delhi. The arbitration proceedings shall be in the English language. *The said arbitration proceedings shall be governed and construed in accordance with the Arbitration and Conciliation Act, 1996 and modifications thereof as in force at the relevant time. * These terms and conditions are governed by and shall be construed in accordance with the laws of the Republic of India and any dispute shall exclusively be subject to the jurisdiction of the appropriate Courts situated at Varanasi, India. Air Ticket Booking is a fastest travelling way of world. It covers miles in few minutes. It is a fastest, reliable and time saver. All the business minded peoples always prefer to fly because time is money for them. Here in India Air Ticket rate are very cheaper than other countries and Low Cost Carrier (LCC) has become it more popular and reachable for all. Shweta holidays provides the facility to book all available national and international Air Ticket Booking with LCC. All Tickets/Bookings issued to the customer shall additionally be governed under the terms and conditions as laid out by the respective Airlines / supplier. User should refer airline T&C before booking/Travel to avoid any confusion and/or Dispute afterwards. charges a service fee on all domestic airline bookings. In case of cancellation of booking, this fee is non-refundable. The customer must read individual airline specific terms and conditions in order to find out if the ticket proposed to be booked/purchased is subject to any additional cancellation fee or charge and Shweta assumes no liability whatsoever in this regard. The above mentioned cancellation process and refund processing time may vary. In case of lost or damaged tickets, the refund process cannot be initiated with the airline. Indian Rail is a most popular travelling system of India and it is a first choice of middle & poor class family because of budget. Few years back Rail ticket booking was a challenge work for all. Finding a suitable place in unknown cities are really a biggest headache and during a season you all are aware the situation like high charges, less facility, distance from the city and some time we have to come back. Suitable Hotel booking is a bigger tension than rail and flight booking and we never get the value of money. We provide you best hotels of destination cities with value of your money. With the help of our hotel booking you can book any Star hotel of any city,helps you to fine the best deal according to comfort and budget. Every hotel has a different cancellation policy and the user shall be charged accordingly. Don't call the hotel directly for reservation changes or cancellations. The hotel's agents can't make changes to or process refunds for these specially-negotiated rates. It is fastest and reliable services which provide you 24x7 supports. You can schedule your journey in unknown cities with suitable price. These taxies are reliable, secure and punctual and make your journey meaningful. We will gives you good margin and available in all metropolitan cities of India. Price change without prior notice like gasolin price high or Govt.policy. Booking will be confirmed on receipt of advance deposit only. (1) We require 50% advance deposit to hold the booking. (2) Balance 50% must reach us to tour starting date. The prices are subject to amendment should the Transporters/Hoteliers amend their rates prior to commencement of the tour while undertaking tours, transportation, hotel accommodation and other services only act as an agent on the clear understanding that they shall not be, in any way responsible or liable for any accident, damages, loss, delay or inconvenience caused in connection with the travel facilities arranged by the Company, its employees or agents. All bookings are accepted and executed with utmost care, yet no responsibility is undertaken for any change or deviation on account of factors beyond our control. After commencement of Travel, no refund in full or in part will be given for services includes in the program, which are not utilized. Hotel Check in-Check out time is 12 noon. Extended check in-check out time may be granted subject to availability and agreement by the participating hotels. 45 days prior to arrival - 25% of the tour/service cost. 30 to 15 days prior to arrival - 50% of the tour/service cost. 06 days to 48 hours prior to arrival - or no show - No Refund. Please Note - Irrespective of above mentioned cancellations slabs - incase of cancellation of tour services after the booking is made with us - a minimum 10% service charges would be applicable. Once Tour has commenced no refund is made for unused services. The client understands that he/she cannot make or raise any action demand or claim against Shweta Holidays or its employee, or its Directors and shall also indemnify Shweta Holidays, if any claim or action is brought by any party claiming through the client for dealing with Shweta Holidays and shall always keep Shweta Holidays or its employees fully indemnified against any claims howsoever caused. Should you have any complaint you are urged to discuss it at the time with the relevant authority, eg hotel manager, airline supervisor, etc. If your complaint is not resolved please notify the Company immediately. Grand India Trip has the right to postpone or cancel the tour without prior notice. The passengers are fully responsible for any illness and injuries occurred during the travel. We take at least 7 to 10 working days to process refunds for bookings cancelled online. Your bank may debit its own separate charges from refunds made to your credit card or bank account. All disputes are subject to Varanasi jurisdiction only. It is the Tour member responsibility to ensure that they have valid passport and visas, where necessary. All foreign tourists must obtain a visa before travelling to India; without one you will be refused entry. Foreign nationals arriving in India on long term multiple entry visas must register with the nearest Foreigners Regional Registration Officer within 14 days of arrival. Over-stayers will be fined and may be prosecuted or detained and later deported. They may also need to appear in person at the Ministry of Home Affairs in Delhi. The High Commission/Deputy High Commission may not be able to intervene in these cases. It is recommended to obtain a multiple Entry Tourist Visa since this simplifies the procedure for visiting neighbouring countries like Nepal and Sri Lanka. 3. Two passport size photographs. 5. Duly completed application form. 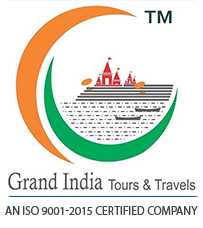 Grand India Trip reserves the right to add, alter, modify, withdraw all or any of the Terms and Conditions or replace, wholly or in part, the program by any other program, whether similar to this program or not or withdraw it altogether without any prior notice. In case of dispute with any party, Grand India Trip decision will be binding and final. Rooms are subjected to availability.